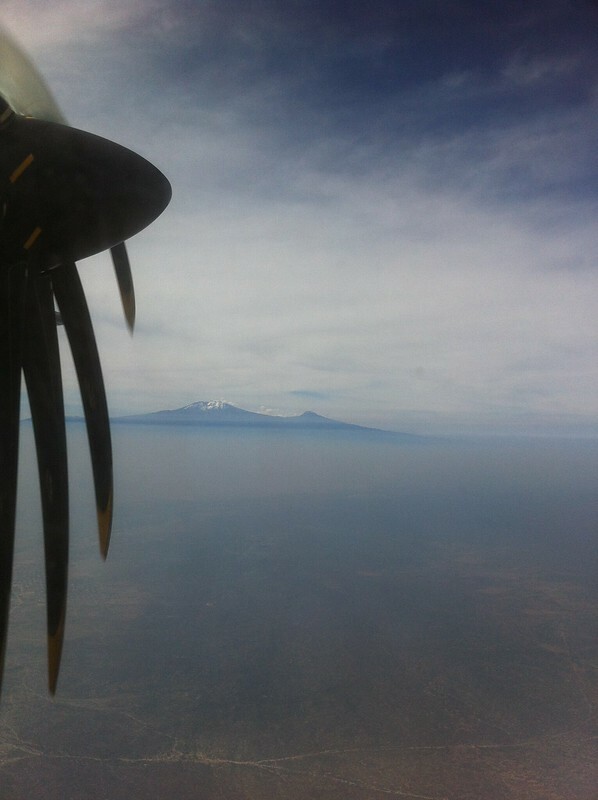 Mount Kilimanjaro looking all mysterious beyond the disturbingly inactive-looking propellors of our plane. I’m not going to write a huge update right now. Today’s events deserve a proper write up. Right now we’re relaxing in our upgraded hotel suite, which is approximately the size of a tennis court. Our bathroom has enough space in the shower cubicle for a dozen people and there is a view out the window (of our room, not the shower) of a mosque so festooned with fairy lights it looks like the world’s most inappropriate attempt to replicate a Christmas tree architecturally.